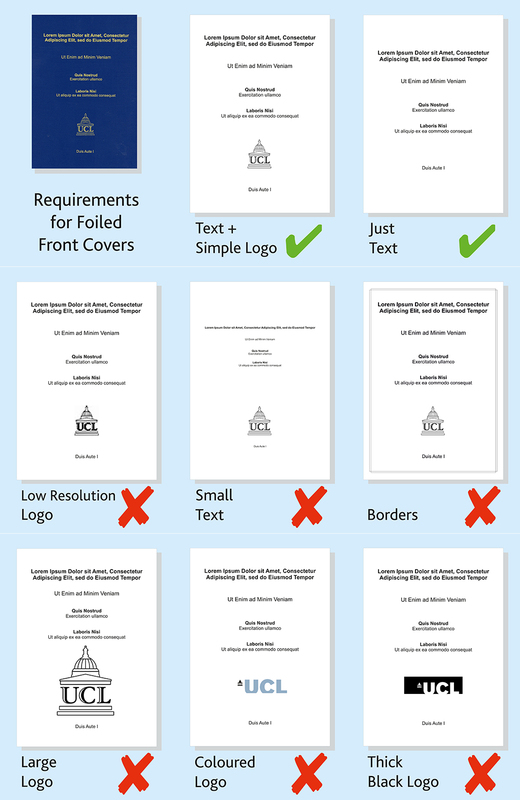 Enter the number of pages (sides) your document has including the front and back cover. Our minimum sheets per book is 25. We'll need to add blank pages at the back. Our maximum sheets per book is 400. If you select double sided, your document will be produced as 1 Volume. If you choose single sided printing, we will produce your document in 2 Volumes. If you select double sided printing, your document will be produced as 2 Volumes. If you choose single sided printing, we will produce your document in 3 Volumes. If you select double sided, your document will be produced as 2 Volumes. If you choose single sided printing, we will produce your document in 4 Volumes. Please select the type of Binding required below and enter the quantity required. Some options may not be available based on the number of pages in your document. If you have selected single sided, try switching to double sided to see if your option becomes available. If you would like a foiled front cover, please upload it here. The PDF must be one page only, must be B/W and contain only text and small simple images only. Anything else may not print properly. To note, as the cover is a textured Buckram cloth, any text foiling on the front cover may not print as sharp as on smooth paper but what we produce is well within the generally accepted range. Please specify the number of copies you would like front covers for. Enter 0 (zero) for none. If you would like additional copies of your thesis, please select the type and quantity below. Additional copies are metal wire bound or plastic comb bound if it is over 200 sheets. We are closed on Monday 16th October. This may affect the completion time of your order. See below for estimated dates. Note: Your order will be processed on 9am Tuesday. The 2 or 4hr service may not show during peak times. If you can see it as an option, then it is available to choose. We operate 9am to 5:30pm Monday to Friday excluding Bank Holidays. If the 2hr or 4hr service takes us beyond our closing time, the time will stop and resume the following working day. Eg a 2hr service received at 16:30 will be ready at 10:00am the next working day. We aim to deliver using a courier within 3-4 working days. Your theses will be sent out within 2 working days however the delivery timeframe is not guaranteed. There may be a delay if nobody is available to receive and sign for the order as the courier may return to deliver another day. Deliveries directly to universities or colleges are often directed to post rooms or receptions and may not go to the room specified. Prontaprint does not accept responsibility of delivering to the correct room or person. Central London courier only allows delivery to postcodes starting with EC1, EC2, EC3, EC4, WC1, WC2, W1 and SE1. Any other postcodes will need to use our 3-4 day Standard UK Mainland service. Delivery may be delayed if nobody is available to receive and sign for the order. This is for deliverers to the Channel Islands, Scottish Islands, Northern Ireland and the Sottish Highlands. As your delivery is going to a non standard UK postcode, delivery will take a bit longer - typically 2-5 working days. Your theses will be sent out within 2 working days however the delivery timeframe is not guaranteed.